Has your favorite made the list? There's no shortage of great Italian restaurants in the USA, and many have been in the same family for generations. To help you seek out the best Italian dishes in the country, we've picked our favorite spot from every state. Buon Appetito! 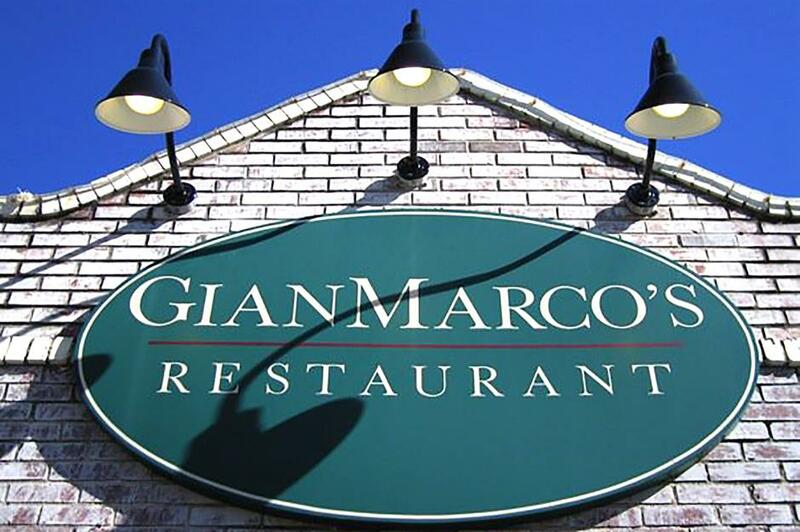 Established in 2003, Gianmarco's Restaurant is a family-run business operated by Giovanni, Giani and Marco Respinto. 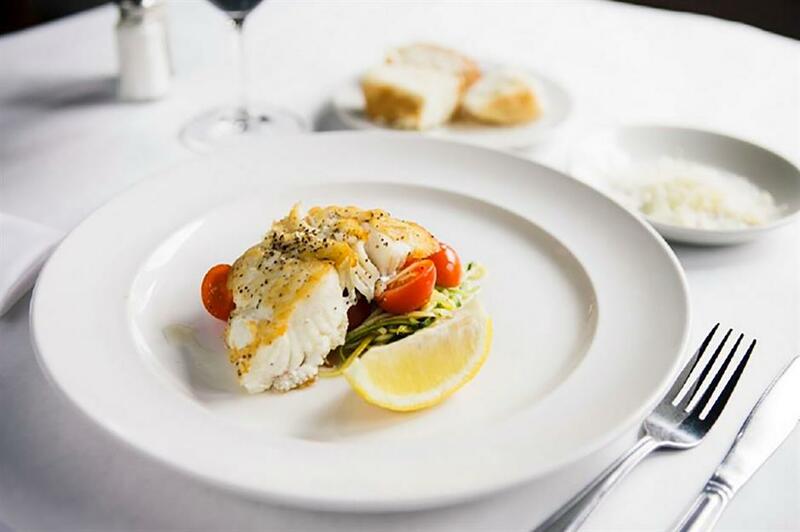 The father-and-sons team offer several hand-crafted daily specials, from braised veal ossobuco and pistachio goat's cheese crusted lamb to swordfish. Based in Birmingham, the restaurant has earned a loyal following in the locals. Sorrento's has been serving customers in Anchorage, Alaska, for more than 40 years. 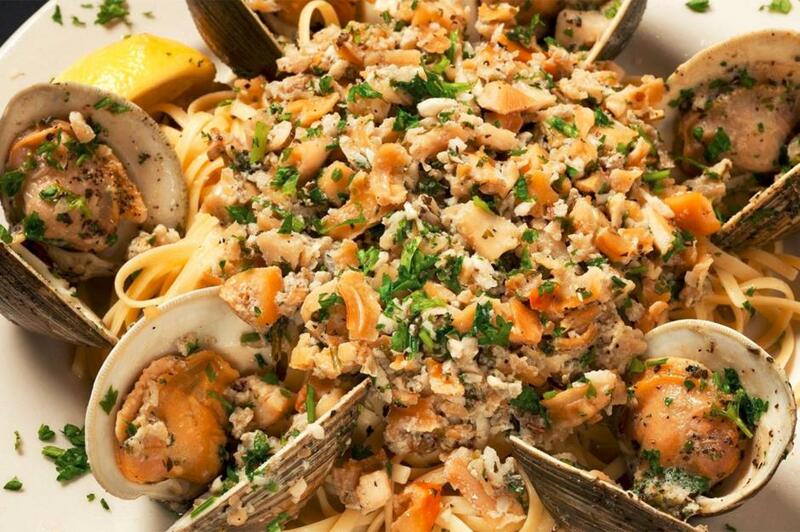 The family-owned restaurant offers an extensive range of dishes including clams in garlic butter and four-cheese penne al forno (pictured). Gluten-free options are also available. Guests have been known to rave about their meatballs, tiramisu and meat sauce. Reminiscent of restaurants in New York’s Little Italy, RigaTony’s is a spacious old-school spot with bags of personality and vintage style. Located in Tempe, the restaurant is filled with low lighting, cozy booths and has dozens of black-and-white photographs and pictures adorning the walls. 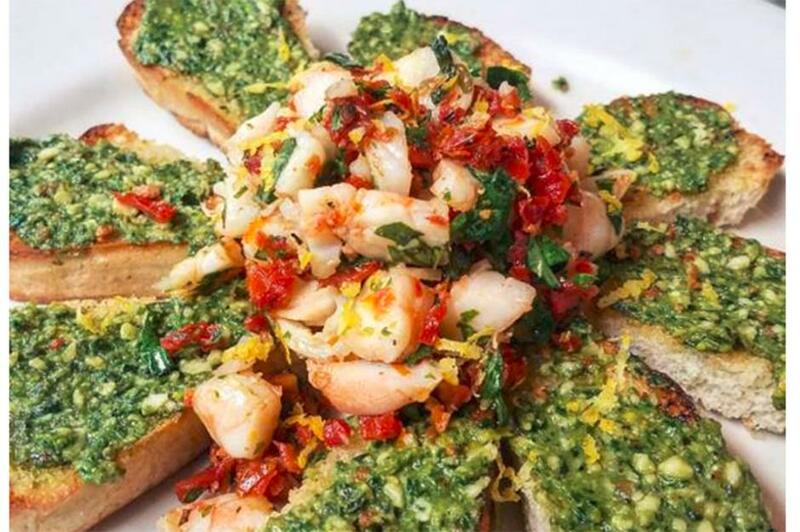 Customers praise the homemade bread, shrimp pesto bruschetta (pictured) and excellent service. ‘Casual, comfortable, just like home’ is the tagline for Ermilio's Italian Home Cooking. Established more than 26 years ago, the restaurant has a loyal customer base in Eureka Springs. Customers have complimented the friendly service, chicken marsala and fish of the day. You may have to wait at busy times – but you'll find board games to keep you busy. 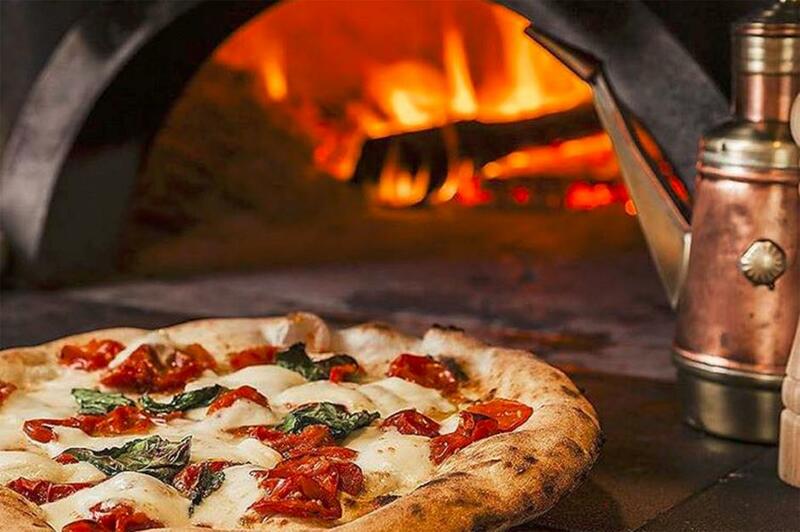 For a truly authentic Neapolitan pizza, head to Terún restaurant in Palo Alto. 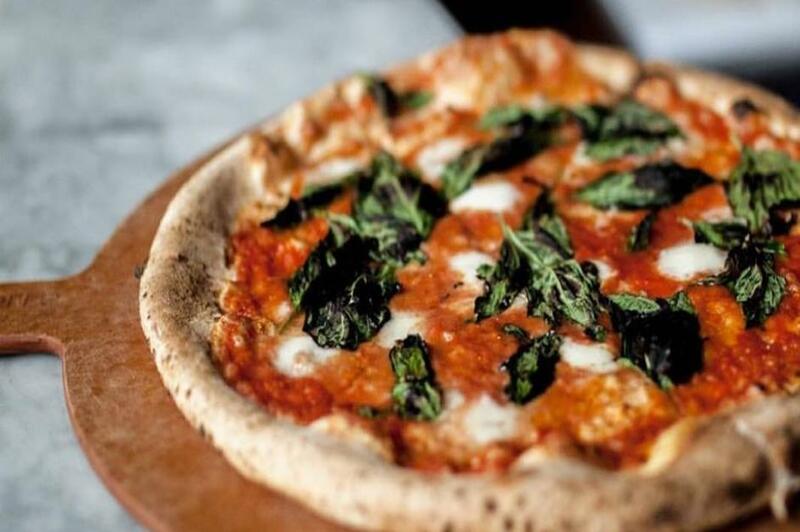 The refined pizzeria has the seal of approval from the Associazione Verace Pizza Napoletana, who aim to protect and promote the authentic production of this Italian dish. 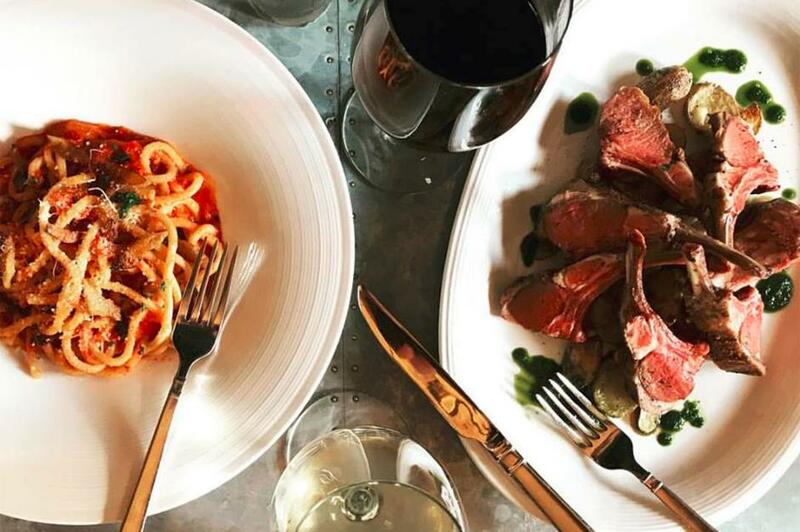 You’ll also find Italian classics such as lasagna, tagliata and parmigiana de melanzane on the menu alongside an impressive wine list. Chef and owner Franco Pisani was raised by Italian immigrants and grew up watching his mother cooking in the family bakery. After years of training as a chef and working in Italian restaurants, he opened Paravicini's Italian Bistro in Colorado Springs. 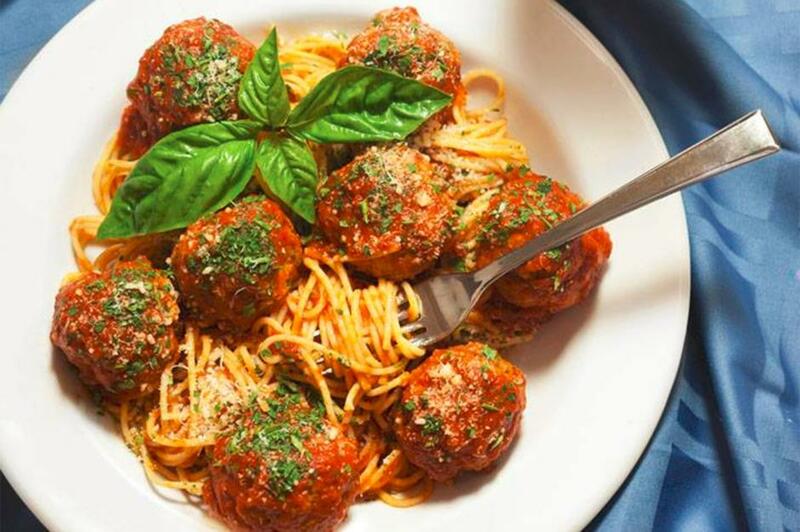 Established in 2003, this popular spot has been named Gold Medalist for Best Italian in the Colorado Springs readers' poll for over 10 years in a row. 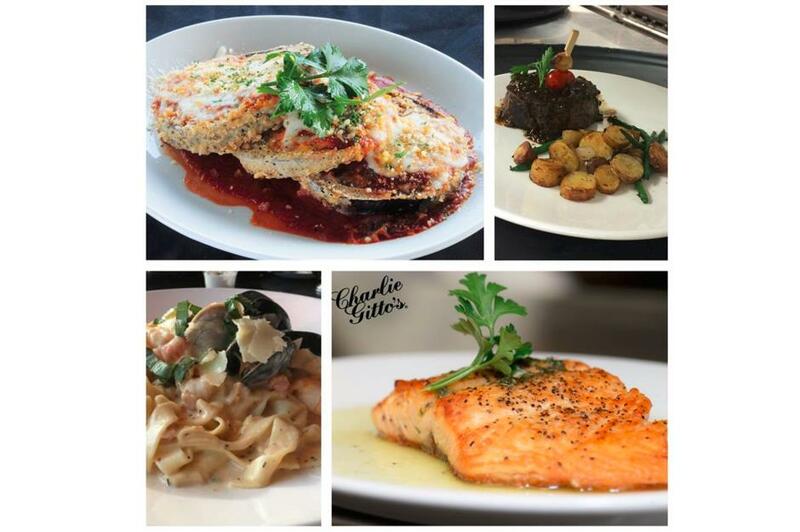 Chef’s favorites include steak paravicini, rigatoni carmella and tutto di mare. Salute is a contemporary yet charming upscale restaurant, serving classic Italian dishes with a modern twist. Located in downtown Hartford, the restaurant is a joint venture between Jimmy Cosgrove, Andy Rizzo, and Dave Caudill who opened the place in 2010. 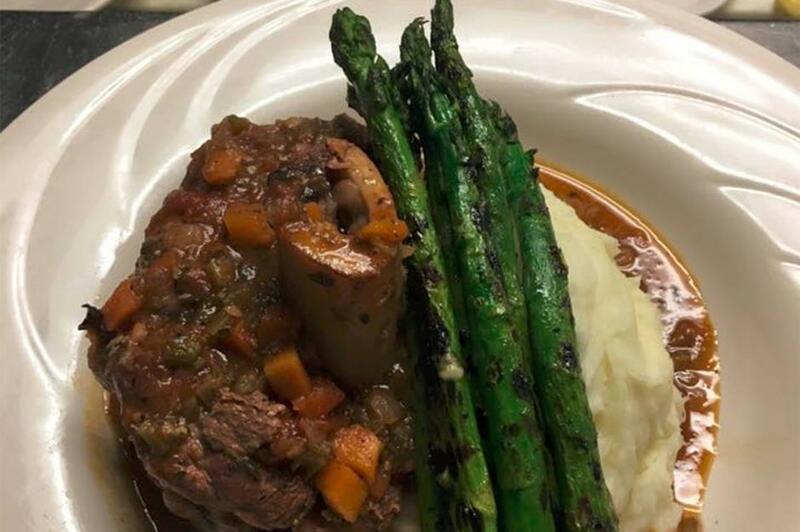 Visitors have praised the veal ossobuco (pictured), sweet potato ravioli, biscotti, garlic cheese bread and the reasonable prices. 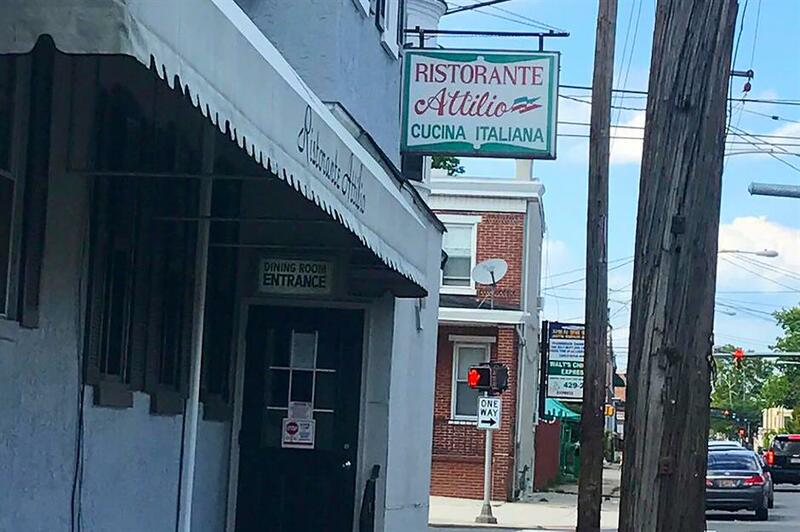 Ristorante Attilio opened its doors in the heart of Wilmington more than 30 years ago. Mamma Vincenza's homemade pasta dishes include spaghetti with meat sauce, cheese ravioli with meatballs and fettuccine alfredo. Customers have complimented the old-school atmosphere, friendly staff and hot pepper appetizers. Note: it’s cash only. 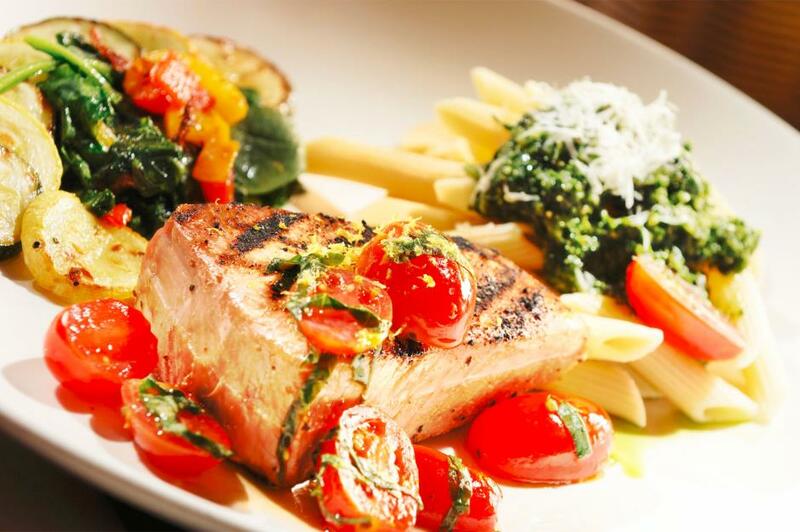 Family-owned Fresco Cucina Italian offers classic northern Italian dishes made from scratch. As well as lunch and dinner, Fresco also offers a deli where guests can buy meats, cheeses and olives along with oils, pasta and wines imported from Italy. Head down on a Saturday night for live Italian music. Customers have said they’d visited after word of mouth recommendations – and it didn’t disappoint. Pasta da Pulcinella is described as a ‘little yellow house hidden in the shadow of skyscrapers’ on its website. 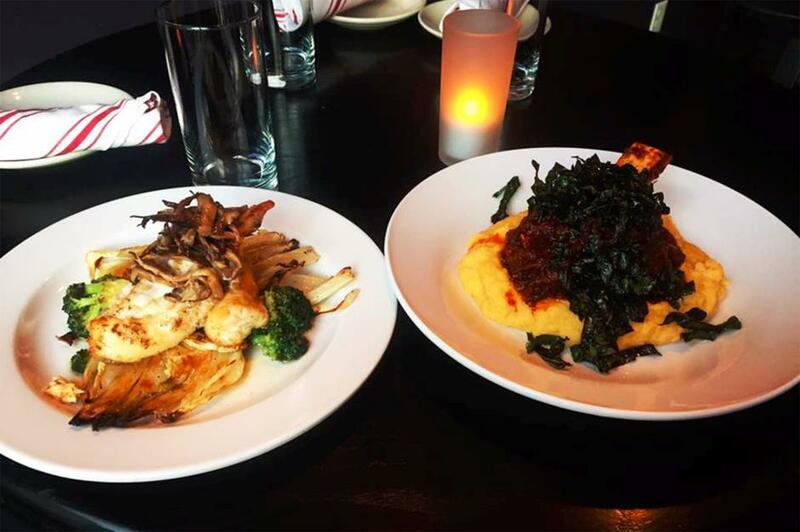 Built within a small bungalow in midtown Atlanta, the restaurant has a cosy setting with an open fireplace and lots of artwork dedicated to Pulcinella – the jolly Italian puppet. 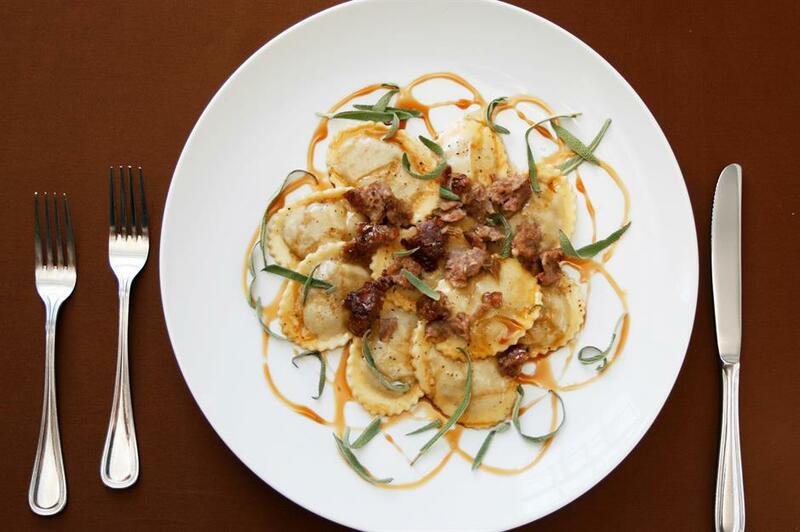 Chef Bibbiano’s imaginative signature dish is tortelli di mele – ravioli filled with apples, sausage, and parmigiano. 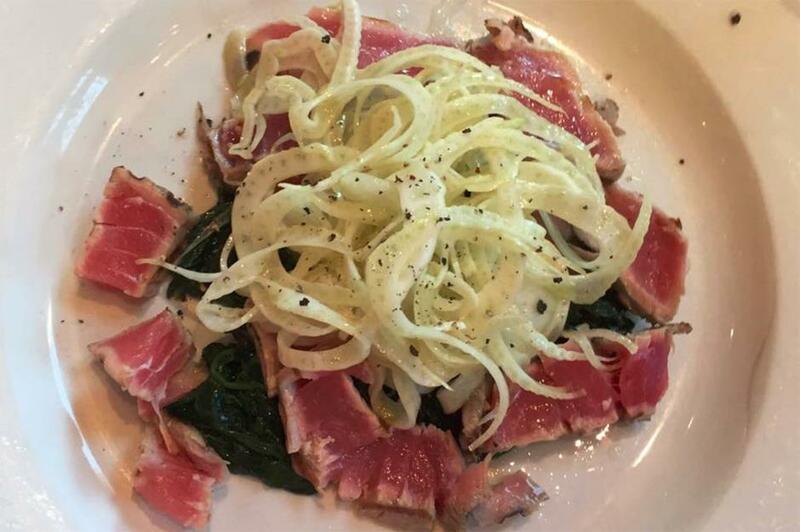 You may not associate the tropical island of Hawaii with top-notch Italian cuisine, but head to Vino Italian Tapas and Wine Bar and you’ll be pleasantly surprised. Created by master sommelier Chuck Furuya and restaurateur D.K. Kodama, the laidback bistro was recently awarded the Open Table Diner’s Choice Award and the Wine Spectator Award of Excellence. What adds to the experience is that the restaurant is located on the Honolulu waterfront with stunning scenery. 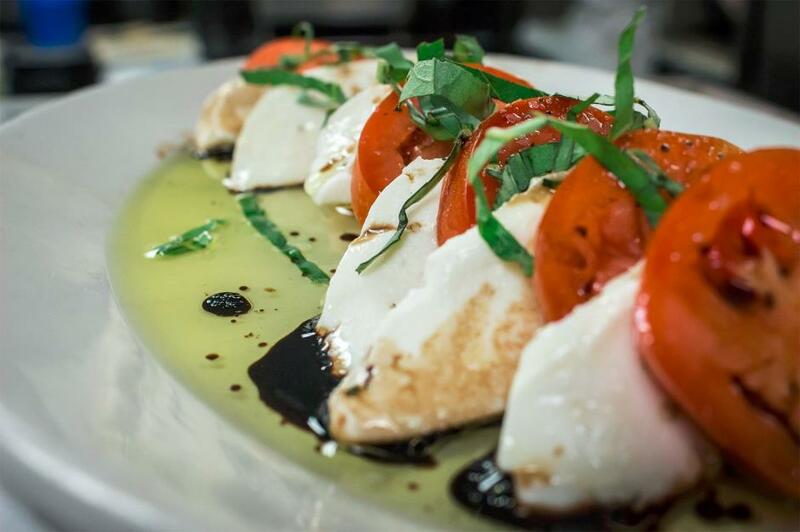 Luciano’s Italian in Boise was recently voted Best Italian Restaurant last year by readers of the Idaho Statesman. The restaurant has been open since 2012 and house specials include the crab ravioli, pesto halibut and veal marsala. Customers rave about the excellent service, generous portions and indulgent desserts. Chef Anthony Barbanente is a Chicago native who spent much of his youth on his grandfather’s farm in southern Italy. He fulfilled his dream of opening his own restaurant when Sapori Trattoria was launched in 2001. 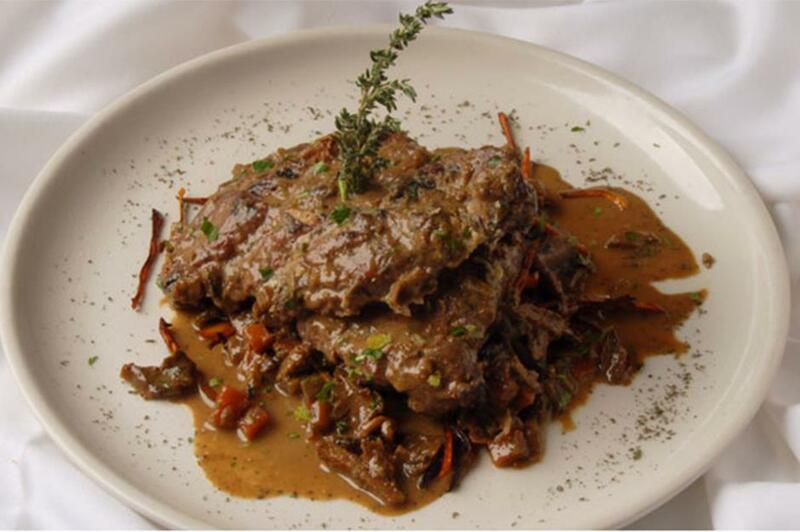 Specialties include the six-hour ossobuco, milk and honey ribs and the signature dish zuppa di pesce. 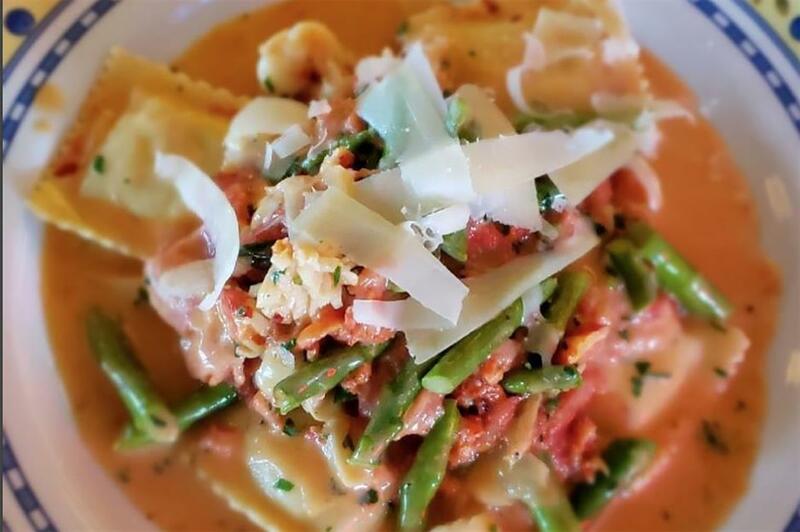 Locals also love the homemade pasta and lobster ravioli. After years of dreaming, Mama Carolla opened her own Mama Carolla’s Old Italian Restaurant in the building she’d driven past hundreds of times during her 20 years in the neighborhood. Located in Indianapolis, the old stucco house was transformed with an added kitchen and bar, to become the ritzy 1920s Mediterranean-style villa is it today. As you’d expect from the name, Tumea & Sons is an old-fashioned, family-run Italian restaurant located in Des Moines. Customers have raved about their classic steak, fried ravioli, chicken asiago (pictured), authentic flavours and excellent customer service. If you fancy building up an appetite before your meal, Tumea & Sons also have an open bocce ball court to enjoy. Prepare for sensory overload as you step inside Cinzzetti’s huge Tuscan-style villa. A feast for the eyes, as well as the stomach, you’ll find five unique dining rooms and 14 open-view cooking stations with plenty of samples on display. Located in Overland Park, Cinzzetti’s has some of the best online ratings in the state of Kansas. Cinzzetti’s have a second restaurant in Northglenn, Colorado. 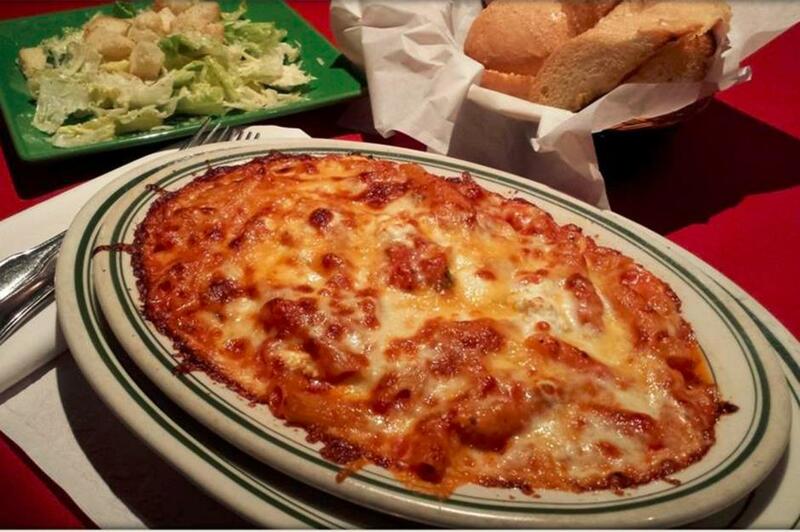 Silvio's Italian Restaurant has only been open for a few years, but it’s already one of Kentucky’s most popular Italian diners dedicated to serving Italian-American family favorites. It’s owned by Bill Silvio Melillo, who’s no stranger to the industry having run Melillo’s in downtown Louisville until it closed in 2008. Having grown up in a large Sicilian family, New Orleanian Vincent Catalanotto’s love of good food began at early age and was largely influenced by his parents, who were both great cooks. Years as a waiter taught him the importance of fresh ingredients as well as great service and he eventually opened this restaurant in 1989. Vincent’s Italian Cuisine has been voted best Italian restaurant numerous times by the readers of several local publications. 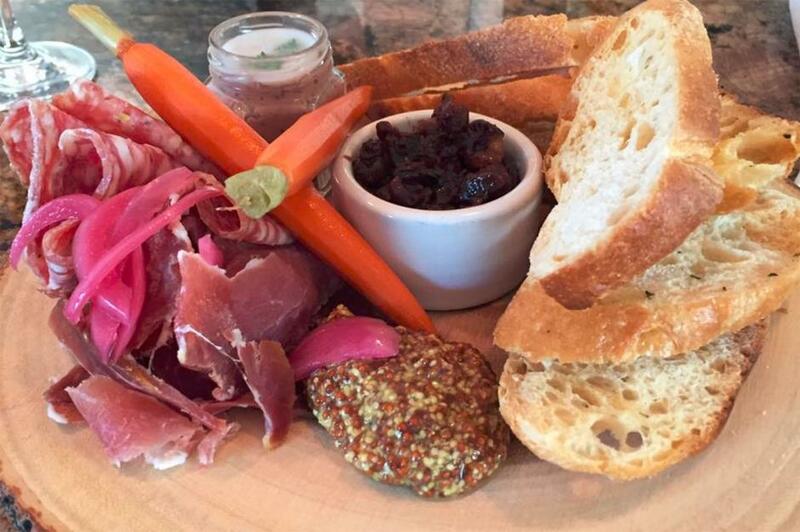 For the ultimate farm-to-table experience, head to Primo in Rockland, Maine, where they serve produce lovingly grown on their nearby farm. Everything else is locally sourced from sustainable farms and menus change according to what’s in season. A true labor of love, the company was established by Italian-American chef Melissa Kelly and Price Kushner, beginning with a few hens and pigs. Now 17 seasons later, the upscale restaurant has won numerous awards and rave reviews from customers. 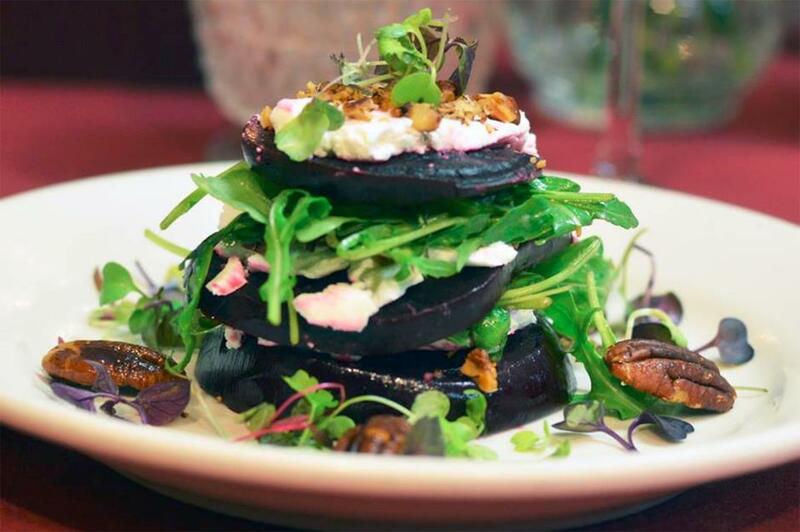 Manalú Italian Restaurant is jointly owned and managed by Italian chef Marco Pontecorvo, his wife Naomi and their daughter Lucia. In fact, the restaurant’s moniker is a combination of the first two letters of their names. Originally from Naples, the trio opened the restaurant in 2014, and aim to bring authentic Italian cuisine to Fredrick. The brick oven, which they use to bake their much-loved pizzas, was even brought over from Italy. Having opened its doors over 30 years ago, Trattoria Il Panino is Frank DePasquale's first restaurant, and Boston’s original trattoria. 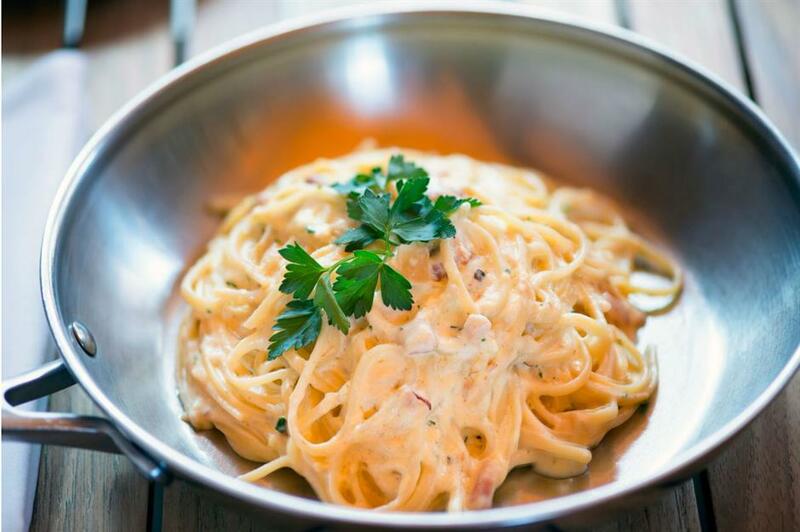 The menu is bursting with authentic, aromatic Amalfi Coast-style cuisine. 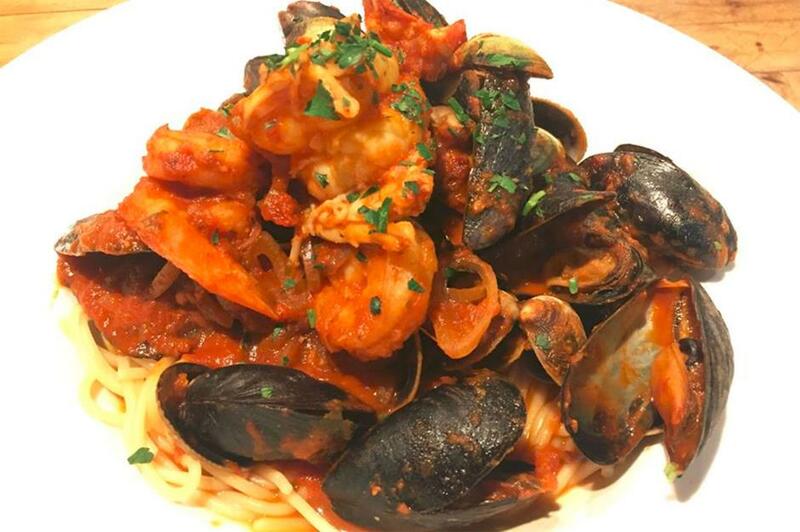 Guests can choose to enjoy their fresh pasta and seafood dishes in the fresh air outdoors, with views of Boston's very Italian and historic North End. This legendary spot in Detroit's Eastern Market is well-loved for its gargantuan pizzas and daily pasta specials. 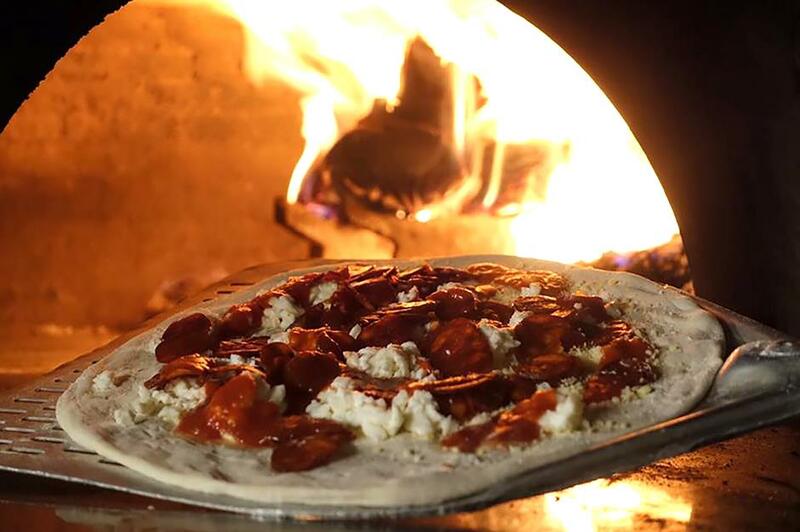 Partnering up with local producers, Supino Pizzeria is a champion for organic, Michigan-grown ingredients. Be sure to follow your pie with a generous portion of tiramisu. Family-run spot Giovanni's Restaurant deserves a special mention too. Established in 1933, Yarusso Bros Italian is one of the oldest family-owned restaurants in St. Paul. Originally named Square Deal Café, it was founded by Francesco Yarusso but was renamed when he retired in 1947. It’s now run by his sons David, Fred and Michael Yarusso with help from the extended family. 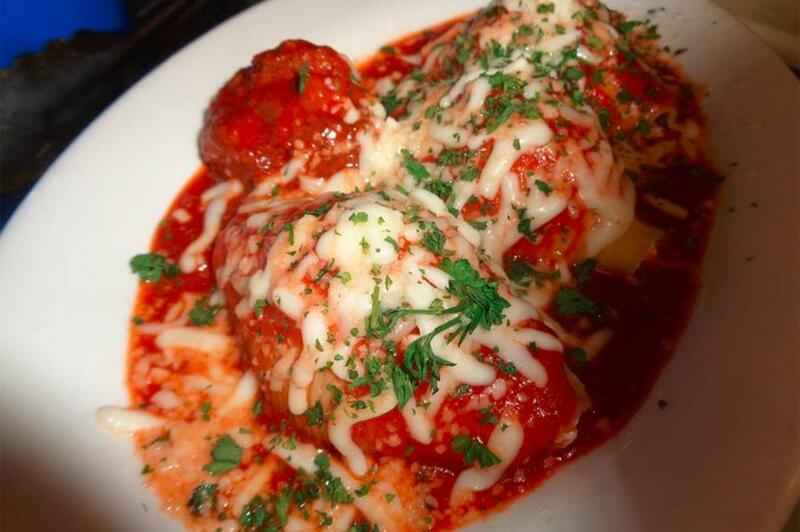 Customers have raved about their meatballs, spaghetti, mushroom ravioli and old-school Italian surroundings. 'Where family, friends and great food meet' is the mantra of this Flowood spot. It was established in 1977, by New Yorker Fred Cerami and became an instant local favorite. Cerami decided to close the restaurant in 1992 to pursue other ventures, but his daughter convinced him to reopen it in 2006. 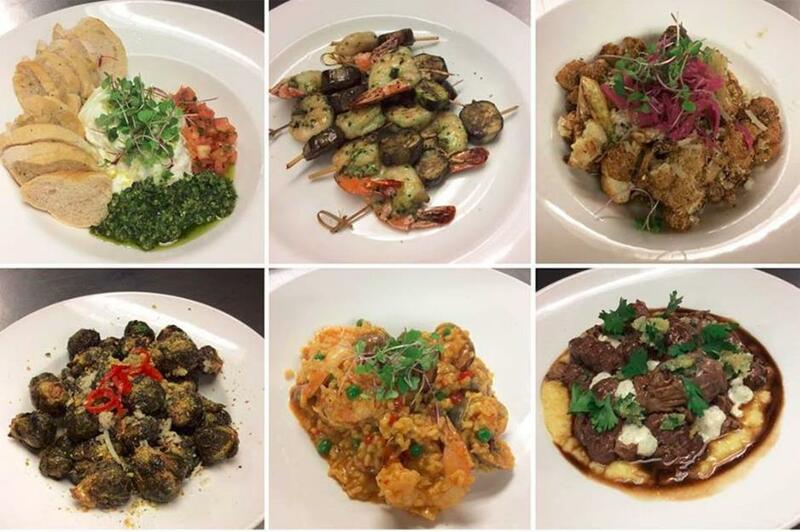 Today Cerami's is busy as ever, and the menu includes original classics such as stuffed mushrooms, chicken parmesan and toasted-almond tiramisu. 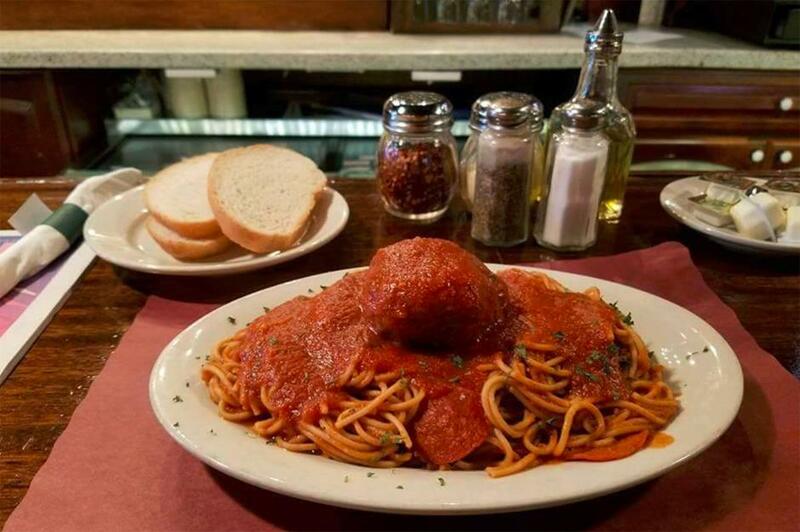 A St. Louis institution, Charlie Gitto’s on the Hill has been serving traditional Italian dishes for more than 35 years. 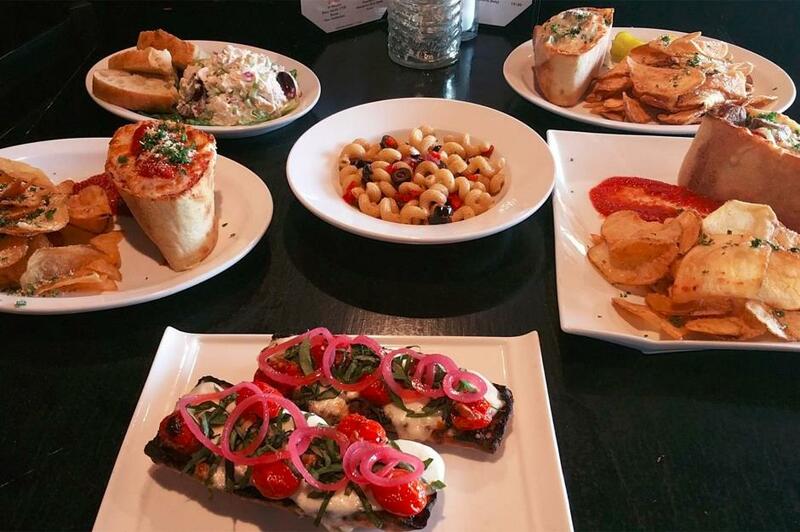 The toasted ravioli, scallops and tomato caprese salad come highly recommended online and customers have praised the ambience and attentive service. Charlie Gritto opened a second restaurant in Maryland Heights in 2004 and a third at Chesterfield in 2016. Ciao Mambo in Whitefish is one of the top-rated Italian restaurants in Montana, customers have raved about the excellent service, pasta, meatballs, wine selection and ‘to die for’ garlic bread. Low-lighting, music and interesting artwork combine to create a winning atmosphere for romantic couples or larger groups. You’ll also find Ciao Mambo restaurants in Missoula and Billings. 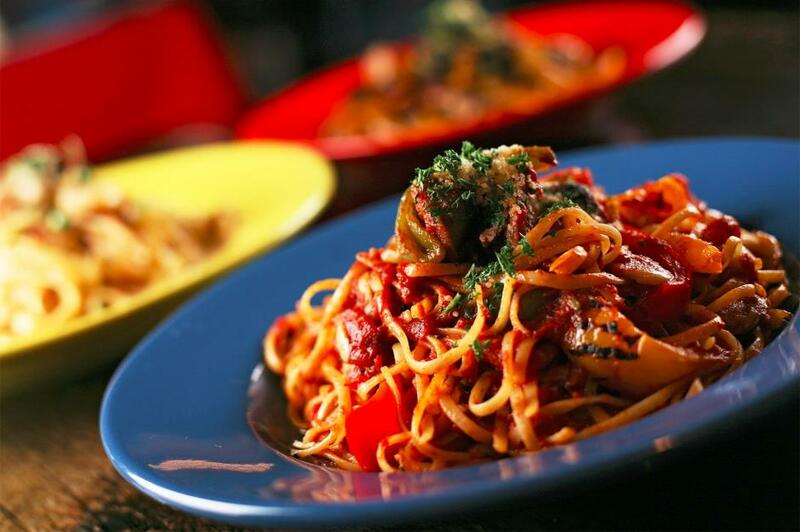 You’ll find all of your favorite Italian dishes on the menu at Vincenzo's Ristorante, Omaha. Popular items include the lasagna, ravioli, veal cannelloni, chicken parmigiana and pizza. 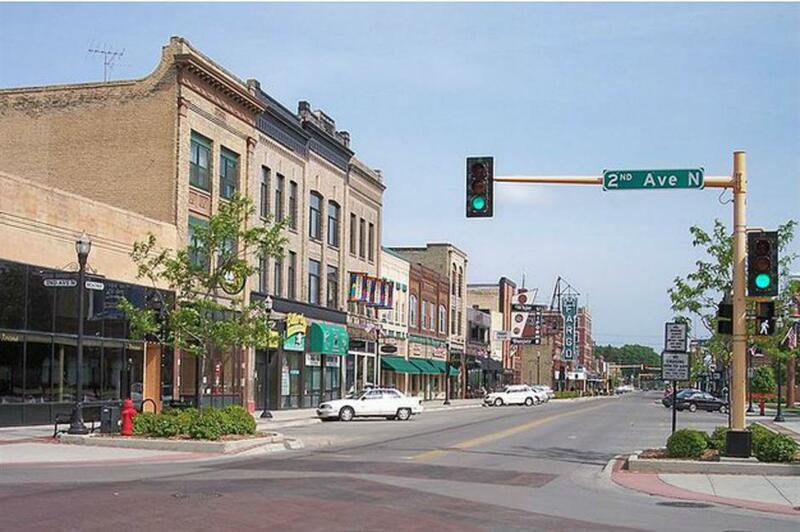 The branch, which was established in 1993, has received several Best of Omaha awards from Omaha Magazine. 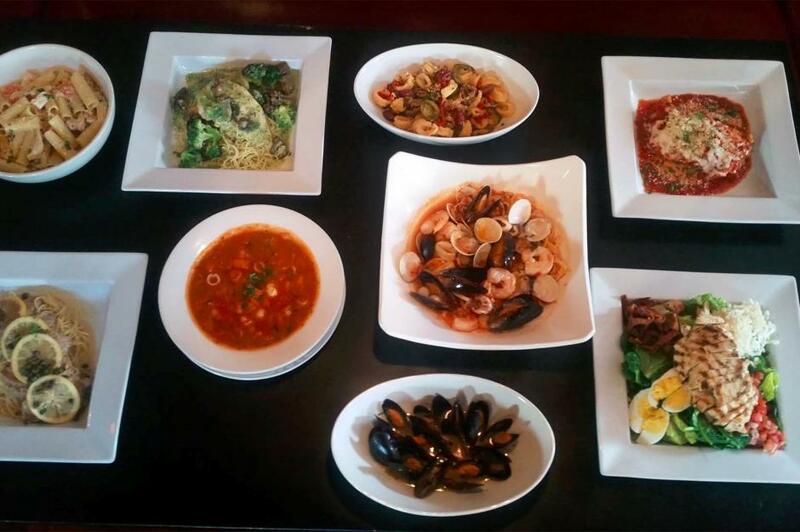 A second Vincenzo's Ristorante in Lincoln was named Top Italian Restaurant by the Lincoln Journal Star. This family-owned restaurant has been serving customers in Las Vegas since 1985. Influenced by their southern Italian heritage, Gino and Rosalba Ferraro only use natural, fresh and seasonal produce in their homemade pastas, sausages, breads and desserts. Ferraro's extensive wine selection has been recognized by Wine Spectator’s Award of Excellence and the Prestigious Wine Enthusiast Award. Party lovers will be pleased to know the bar doesn’t close until 2am. With a record of receiving great reviews, the reputation of this modern Manchester spot precedes it. 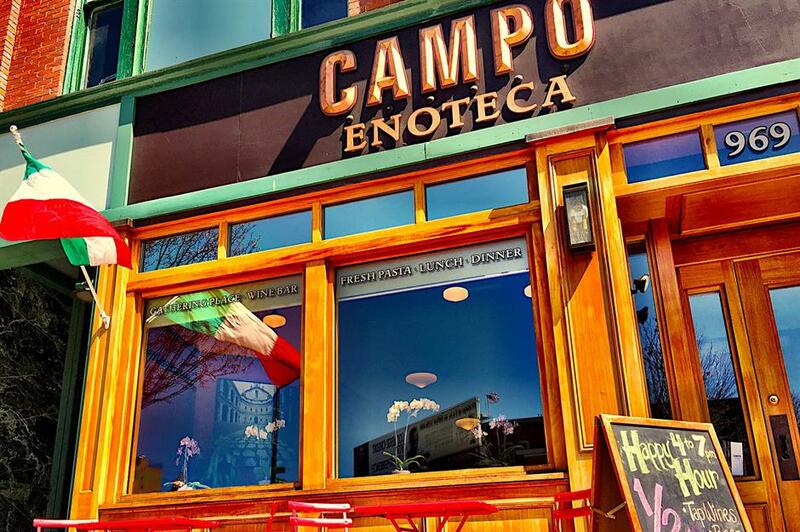 The focus at Campo Enoteca is on contemporary small plates and delectable antipasti in a chic bistro setting. 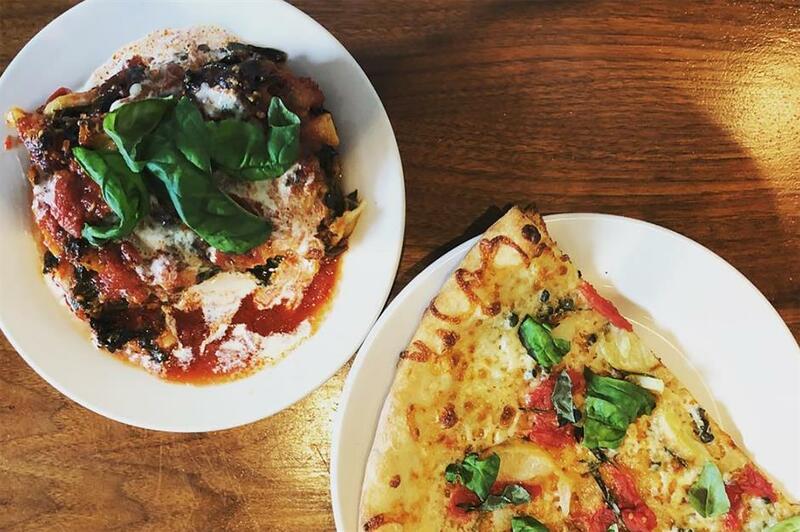 Try the vegan mushroom bucatini and the Sicilian potato pizza, and don't miss Happy Hour from 4–7pm. This restaurant is named after owner Mark Pascal’s grandmother, who came to the US from Naples. The Catherine Lombardi Restaurant was opened in 2006 in her honor, with a menu based on her traditional Neapolitan recipes. Like Catherine, the business prides itself on using the finest and freshest ingredients. Customers have praised the meatballs, cheesecake, wild boar ravioli and gnocchi. 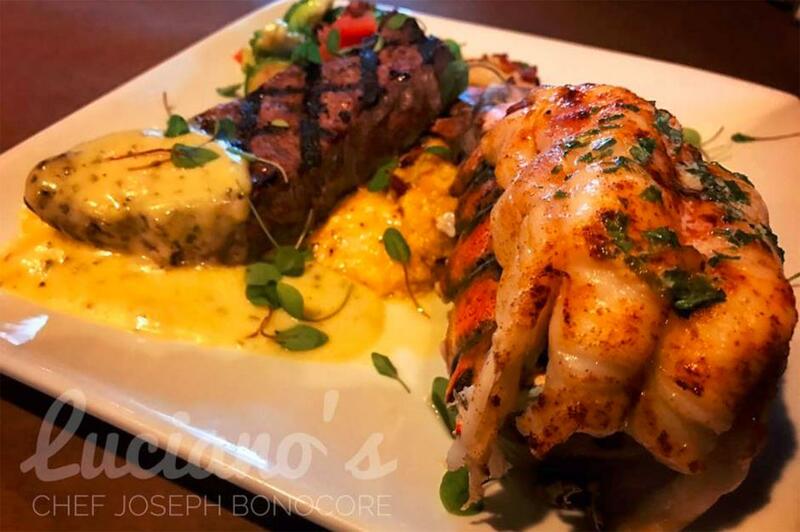 Opened in 2013 by Jeff Spiegal and Katie Gardner, M’Tucci’s Italian in Albuquerque is a real family affair, having recently added another five members of the M-Tucci’s dynasty to the business. 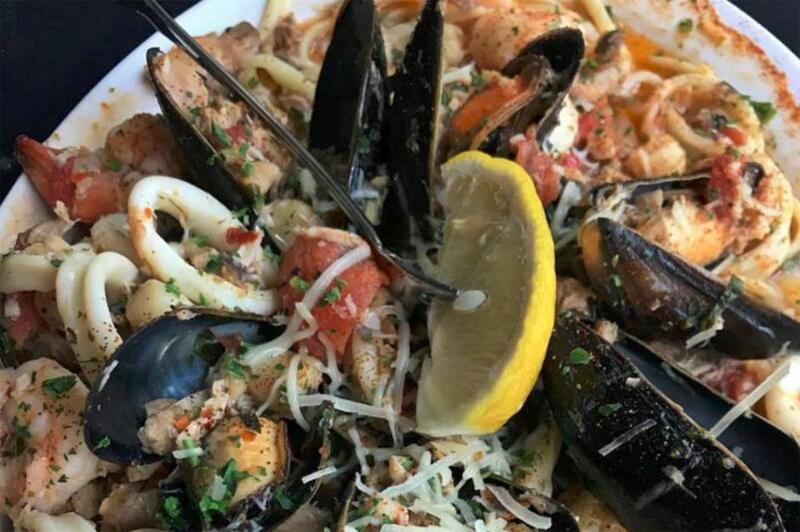 Customers have praised the great atmosphere, friendly service and fresh dishes – especially the scallops, calamari and spaghetti with shrimp. Reported to be Frank Sinatra’s favorite restaurant, Patsy's Italian Restaurant in Manhattan has welcomed an array of celebrity diners over the years including George Clooney, Al Pacino and James Gandolfini. The New York institution has been operated by Scognamillo family since 1944 and is named after the first chef, Pasquale Scognamillo. Try Sinatra's favorite dish, the veal Milanese with arugula salad or Patsy’s traditional ricotta cheese. Gravy celebrates traditional Italian-American cooking and prides itself on creating pasta sauces just like ‘grandmother used to make’. 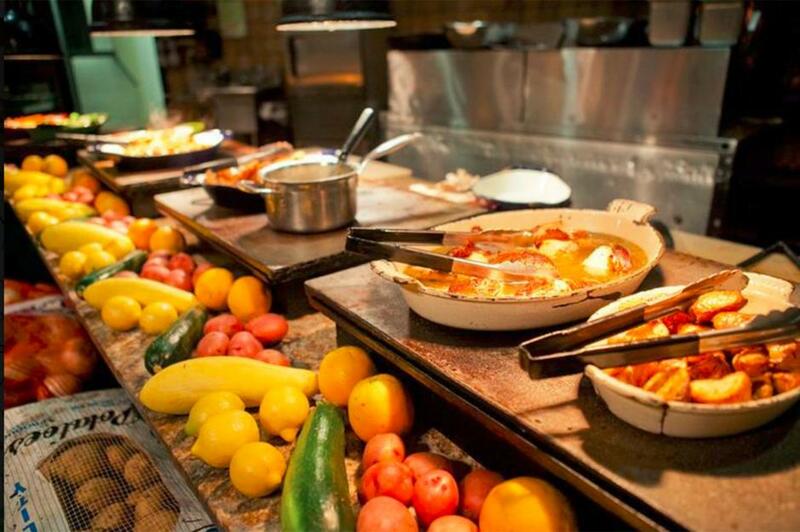 The Raleigh restaurant is a keen supporter of community events and charities and favors local producers. They have been highly praised in reviews and particular compliments have been given to the fried shrimp, value for money and home-style cooking. With its traditional decor and quiet, candle-lit tables, the atmosphere at award-winning Toscana is reminiscent of a Tuscan trattoria. 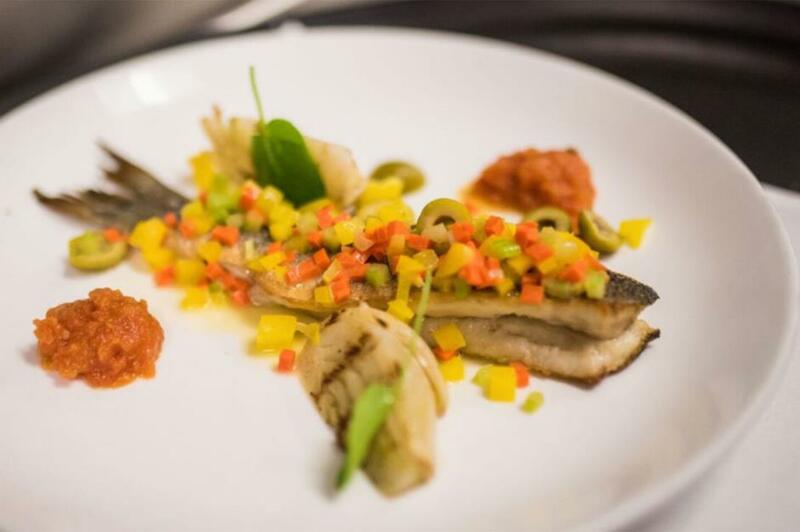 Chef Mirco Morganti's, who originates from Lucca in Italy, cooking has been dubbed the finest outside Italy but the overriding factor that keeps customers coming back time and again in the outstanding customer service. The menu at Marcella’s Short North is packed with traditional Italian dishes. Along with classic pizza and pasta dishes, such as ravioli mezzaluna, fettucine with meatballs and chicken, you’ll find plenty of sharing platters, Italian wines and specialty cocktails. The upbeat vintage-style restaurant is regularly praised for the service and food by customers. Proud owner Lori Burson dreamt up the idea for Stella Modern Italian Cuisine while studying in Rome, where she fell in love with the Italian philosophy of celebrating unhurried meals with family and friends. After two decades working in the food industry, Lori’s wish came true and Stella was opened in 2010. 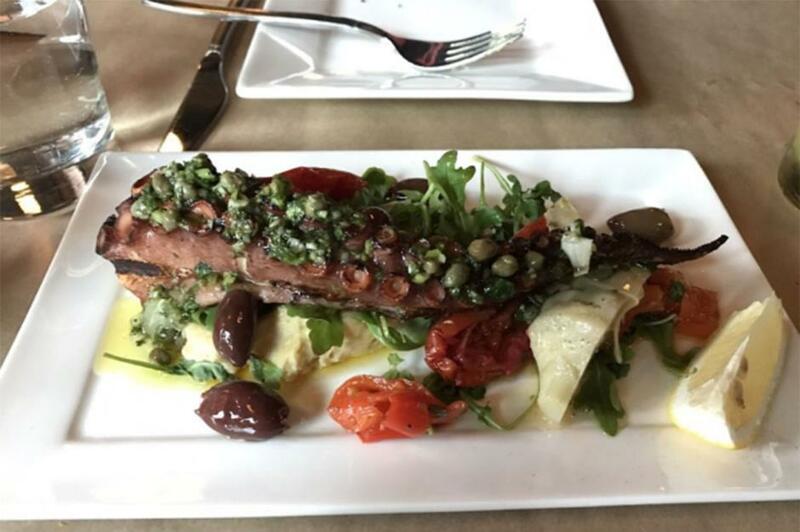 Located in Oklahoma City, the restaurant offers modern Italian food including charcuterie boards, chicken scaloppini and prosciutto with grilled-peach pizza. For a traditional Italian dining experience in Portland head to a Cena Ristorante, which translates as ‘come to supper’. This chic yet unpretentious restaurant has some of the best online reviews in the state. Visitors have complimented the cozy atmosphere, lobster ravioli, food presentation and the staff’s excellent wine knowledge. Chef and owner Pietro Carcioppolo and his wife Antonella opened Gabriella Italian Restaurant in 1997. Following an electrical fire in 2014 the restaurant was briefly closed, but returned eight months later following a stylish and modern overhaul. 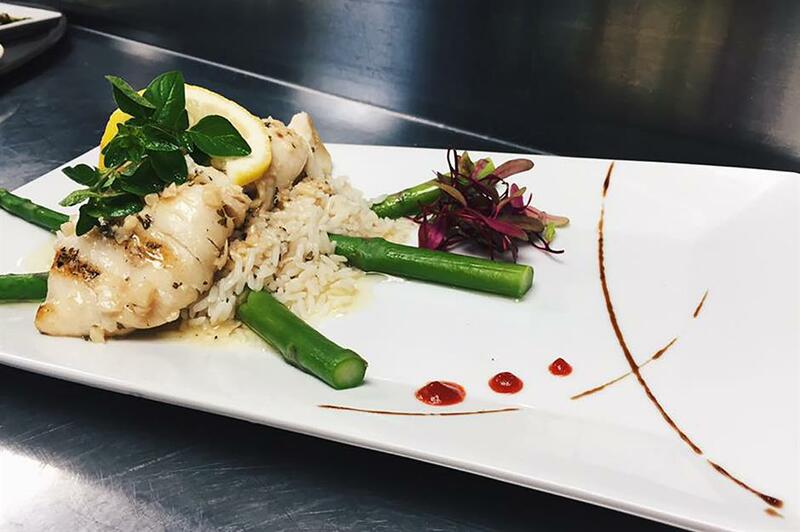 The extensive menu is bursting with beautifully presented specials, including prosciutto-wrapped asparagus and grilled halibut in a garlic, basil and white wine sauce. When Andy Merola opened Andino's Italian Restaurant in 1988 he wanted to create a place for his friends to meet and enjoy good food and wine. It quickly grew in popularity and still serves some of the same loyal customers 30 years later. With old-school decor, low lighting and Bing Crosby and Frank Sinatra playing on the stereo, walking into Andino’s has been compared to going back to the 1940s. Specials include fried mozzarella, pumpkin ravioli and chicken frangelico. 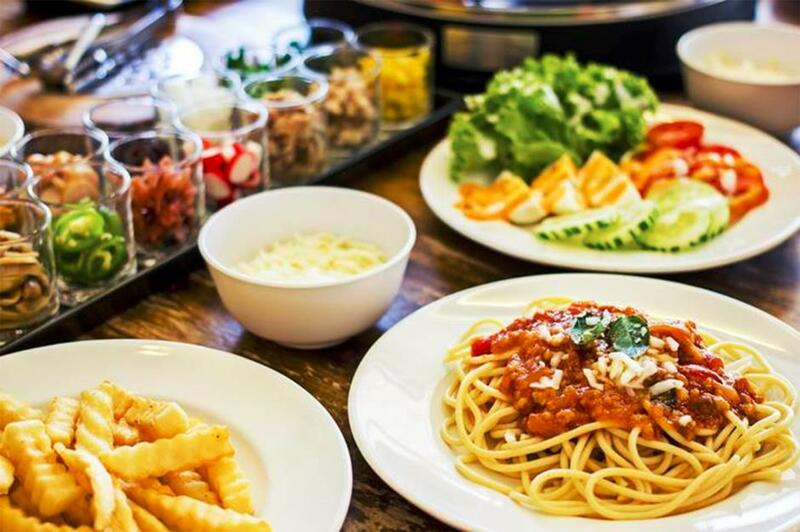 Villa Romana Italian Restaurant is the place to go if you want to enjoy authentic Italian dishes while surrounded by classic Roman architecture. Step inside and you’ll find statues, chandeliers, and even a centerpiece fountain. It was opened in 1985 by Rinaldo and Franca Montrosse, who based the menu on their old family recipes passed down the generations. 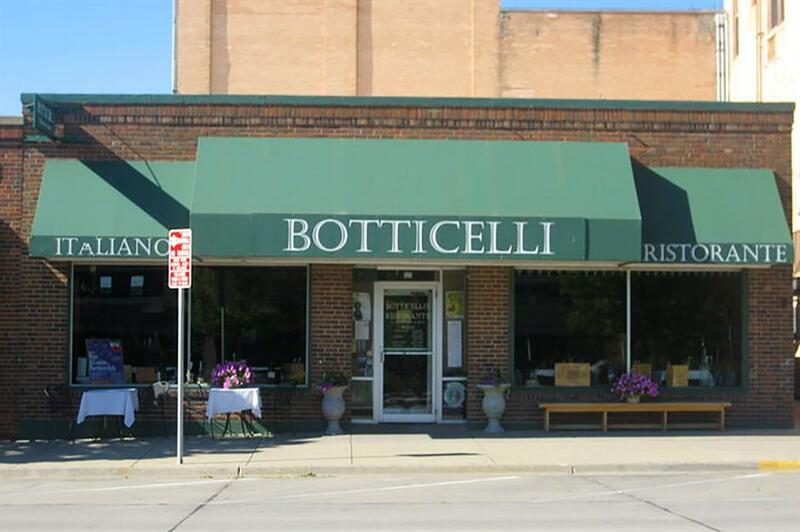 Botticelli Ristorante is the top-rated Italian restaurant in South Dakota on TripAdvisor. Located in downtown Rapid City, the restaurant has been serving customers since the 1990s. Standout dishes include the braised pork shoulder, bison ossubucco and frutti di mare. Customers have praised the value for money, service, salmon, sangria and fresh bread. Booking recommended. 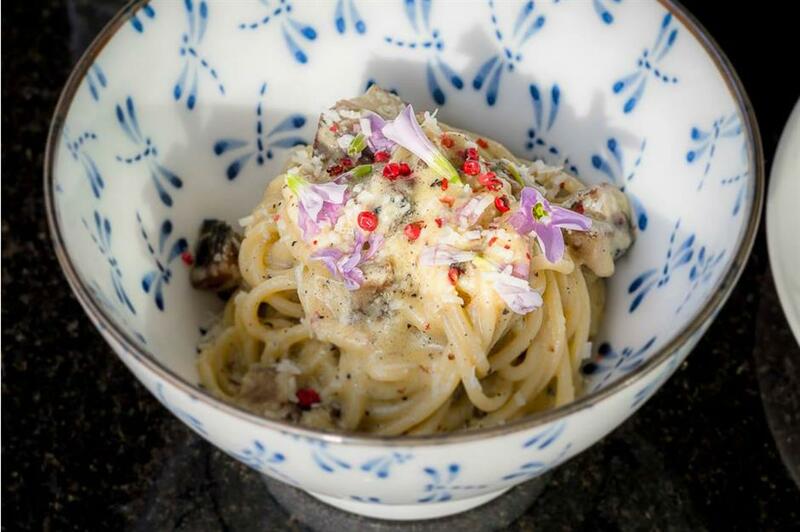 Since the opening of L’Oca d’Oro in 2018, executive chef Fiore Tedesco and his team have been rolling out consistently high-quality, contemporary Italian creations, pasta dish after dish. 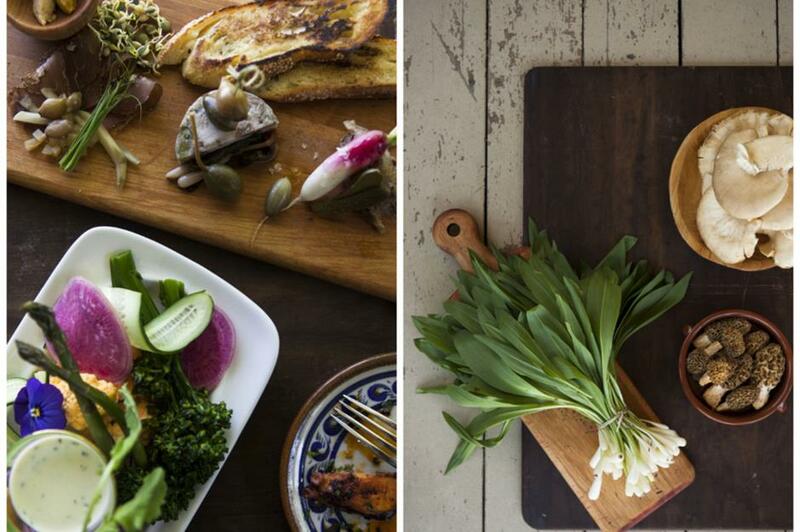 Everything on the menu is homemade with seasonal ingredients, care and creativity. Two of the standout plates are the risotto verde (creamy risotto flavored with cheese, pepper, prosciutto cotto, and crispy broccoli) and the rigatoni alla Norcina (house pork sausage, taleggio cream, dried chili). This modern restaurant in Nashville, Tennessee, specialises in elevating rustic Italian dishes to new heights. 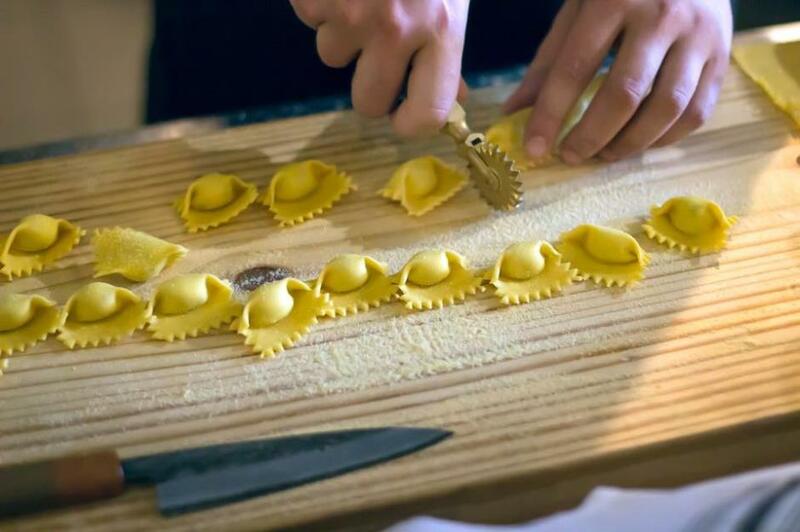 Moto Cucina won awards for their wine list and 'date-night ambience', while diners praise the cocktails, service and fresh pasta. 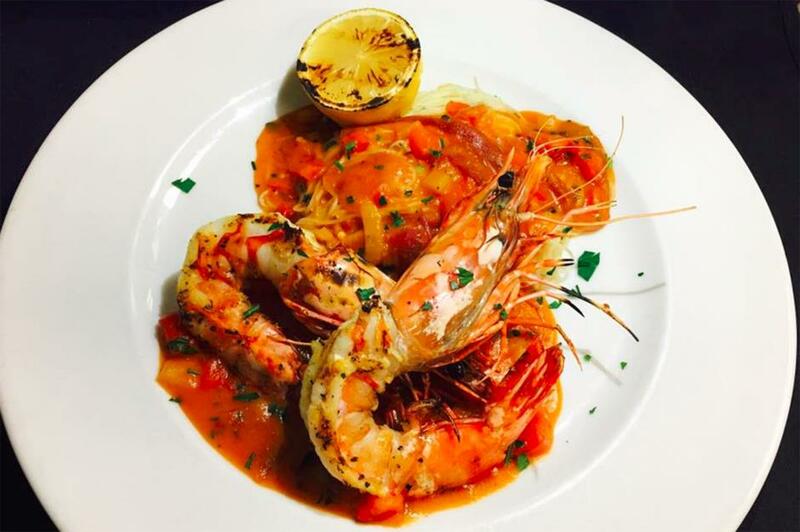 Valter's Osteria is run by charismatic Italian owner Valter Nassi who aims to serve authentic, simple, high-quality Tuscan food. Head down to this Salt Lake City restaurant and you may spot him in a well-tailored suit, enthusiastically greeting and chatting to guests. The bright and airy restaurant, which is decorated with vintage Italian street-scene artwork, has been praised for the ambience, amazing food, service and the main man himself. Expect crowds. One of Burlington’s most historic venues, Trattoria Delia is located in Vermont House – a former hotel built around 1900. It was established in 1993 by the Delia family but is now run by their longtime friends Leslie Wells and Joh Roa, who also founded the nearby Pizzeria Verità. The menu celebrates seasonal ingredients and local produce and you’ll find some impressive Italian selections on the wine list. This quirky restaurant in Clifton has been built to look like an old Italian train station. At Trattoria Villagio guests can choose between the classic dining room, which seats up to 150 people and has live music – or, opt for drinks, cheese and salumi at the marble-topped standing bar. 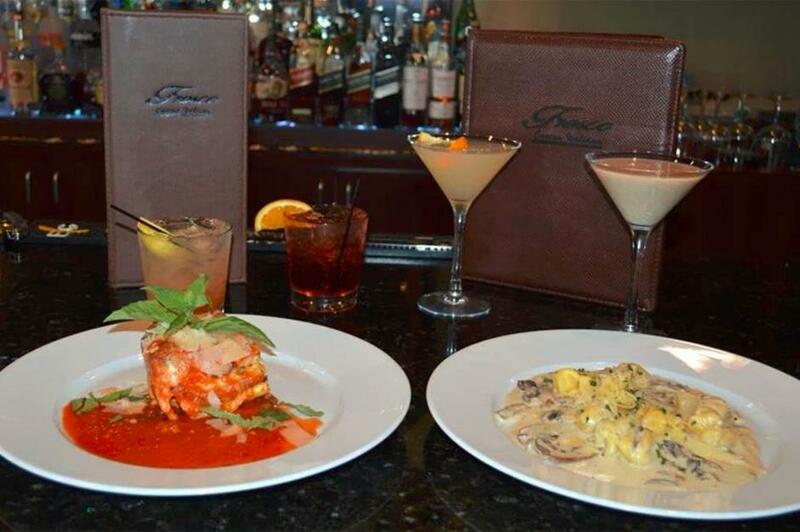 Guests often rave about the exceptional service, lobster ravioli, tiramisu and gnocchi. Cinque Terre celebrates the cuisine of the Italian Riviera in the contemporary surrounds of Amazon's Doppler Building in Seattle. Opened in 2016 by the owners of already popular spots Barolo and Mamma Melina, the pizza, ricotta gnocchi and rabbit ragu come highly recommended. 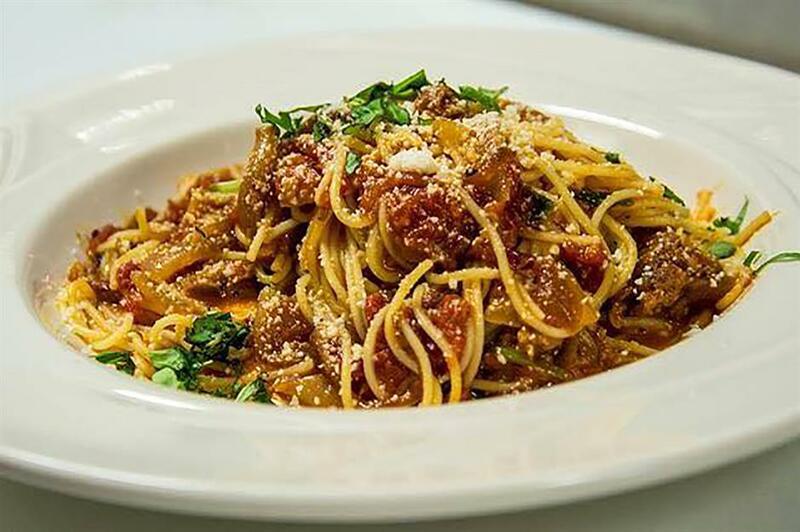 Figaretti’s Restaurant's legacy dates back to 1944 when Sicilian immigrant Anna Figaretti began making spaghetti sauce. It was such a hit with paying neighbors, the family began supplying a local grocery store which lead to the opening of their first restaurant. It’s now owned by the third generation – Dino Figaretti and wife Michelle. Customers have praised the chicken parmigiana, friendly service and the famous red sauce. Family-owned Tenuta's Italian Restaurant was founded by Cesare and Antonia Tenuta who came to America from Southern Italy in 1961. 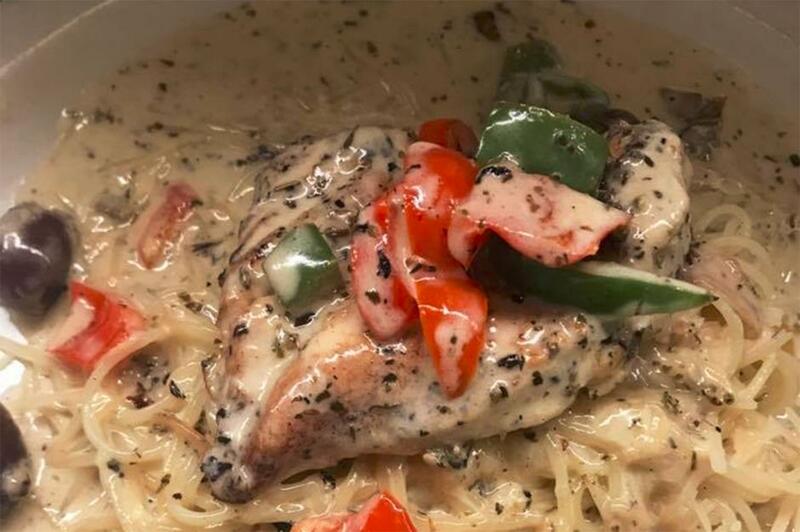 The traditional recipes they brought with them can still be found on the menu, including their original sauces, fresh seafood and signature pasta dishes. 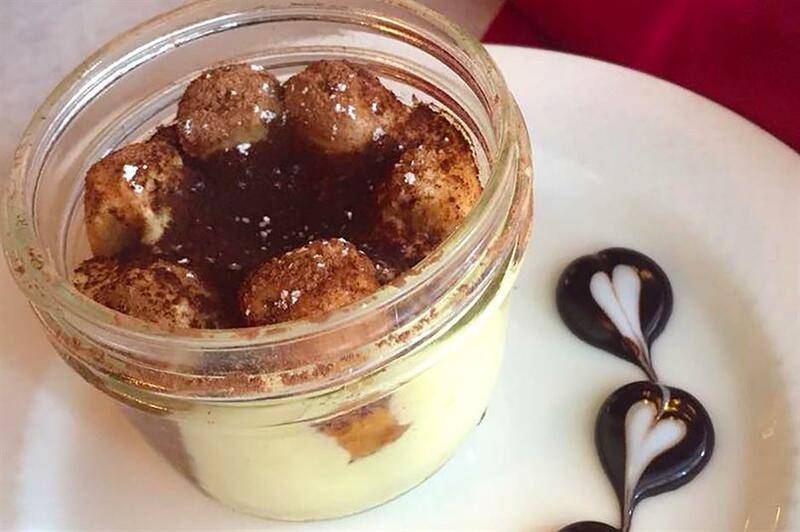 Located near Milwaukee, customers who've visited praised the gnocchi, romantic atmosphere and service. Built as a church in 1905, Calico Italian Restaurant was first erected on Mormon Row just north of Jackson Hole. Sixty-one years later the abandoned structure was moved to Teton Village Road and in 1966 became the Calico Restaurant and Bar. 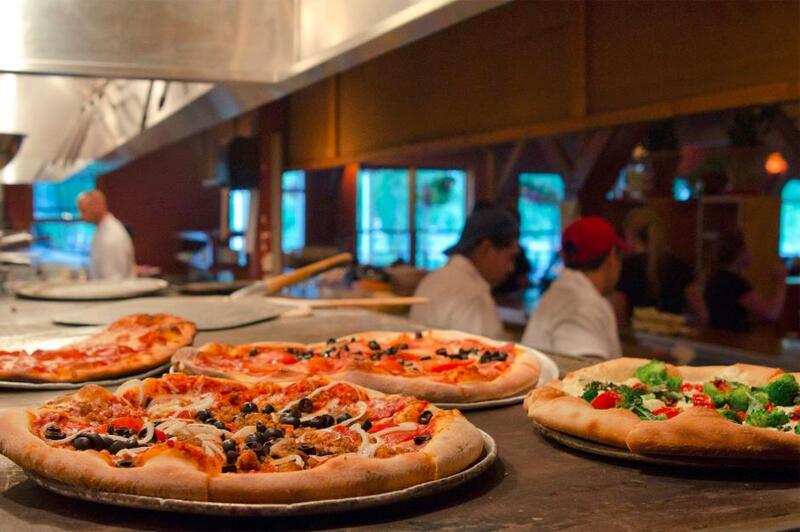 Customers love the pizza, caprese salad, family-friendly setting and extensive wine list.